Please extend your support to the Amador Fire Safe Council's Title III funding request to the Board of Supervisors. The comment period is open for the request and letters or emails to the supervisors will show your support for our programs. As federal and state funding opportunities diminish, Title III funding is critical to the fire protection of our county. The comment period ends and a public hearing for this funding request is scheduled for September 25, 2012. Title III is the Forest Service payment to counties in lieu of property taxes. Use of Title III funds can only be used for: Firewise Communities development; development of community wildfire protection plans; and/or Search and Rescue costs on Federal lands. This year's allocation is $43,000 and AFSC is requesting $25,000. Broken down, that amount is $18,000 for Firewise Communities development (public outreach, education); and $7000 to continue working on the High Country Community Wildfire Protection Plan (CWPP). The High Country unit is comprised of all lands east of Dew Drop to the Alpine County line: timber, the Eldorado National Forest, private holdings, cabins, water sources, recreation, a trans-Sierra highway, electric power generation. For a full description of the project, please go to our website at http://www.amadorfiresafe.org/ and scroll down on the first page to our request to the Supervisors. Thanks for your support, Amador County and be fire safe! CONNECTION SUPPORT GROUP ** FREE SUPPORT IS AVAILABLE**NAMI Amador offers CONNECTION: a Recovery Support Group for adults living with depression, anxiety and other types of mental illness, led by trained peer facilitators who are along in their recovery from mental illness. The CONNECTION Group offers a safe place to discuss personal challenges with recovery, share coping strategies and offer one another support and understanding. The Group meets weekly for 90 minutes. It is free of charge and follows a flexible structure. All groups are confidential and offer respect, understanding, encouragement and hope. 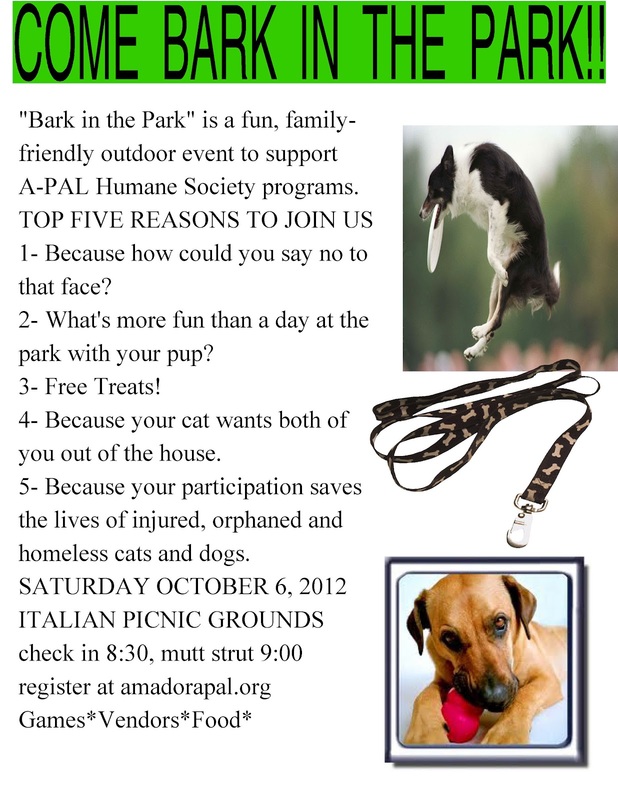 Sponsored by NAMI Amador (National Alliance on Mental Illness). The CONNECTION Support Group will meet weekly at Sutter Amador Hospital, starting August 2nd, from 6:30 – 8:00PM. Please join us for an International Dinner at Rail Road Flat Community Hall on September 22nd . There will be a no host bar and we’ll begin serving dinner at 5:00pm. Cost is $8 for Adults or $12 per couple. Children 6 and under are $5. You may purchase tickets at the RRF General Store or reply to this message and tickets will be sent to you or we will hold them at the door for you depending on timing. Come and enjoy music and a wide variety of international foods. For information contact: rrfccrrf@gmail.com or 754-4882. If you would like to donate a main dish to this fundraiser please let me know as soon as possible. Proceeds from this fundraiser go to the upkeep of the RRF Community Hall. We really need the support of our community. someone cared enough to donate their time to share with another. used 24 hours a day-7 days a week- 365 days per year for medical, police and fire needs. many other organizations such as lap blankets, eyeglass cases, wallets and much more! For more information please call: Amador Lifeline at 223-1485 ext. 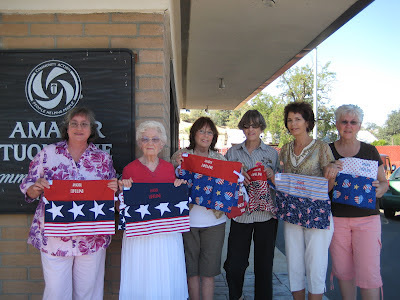 232, or the Gold Country Chapter of the Sewing Guild at: 245-5508. Volunteers are always welcome! On two Saturdays, September 15 and October 20, people who care about the Mokelumne River will gather at sites from Salt Springs to Lodi for the 2012 Mokelumne River Cleanup. Mokelumne participants will work along the river’s banks, in the river, and on Pardee and Camanche Reservoirs removing trash accumulated through the summer months. Previous cleanups over the last 21 years have cumulatively removed tons of trash and recyclables. The cleanup benefits wildlife and water quality while keeping the river a beautiful place to visit. Local teens clean Vaught's Beach during the 2011 Mokelumne River Cleanup. On September 15, the event will be held at locations on the North Fork Mokelumne below Salt Springs in the Eldorado and Stanislaus National Forests, on Pardee and Camanche Reservoirs, and on the lower Mokelumne from the Mokelumne River Day Use Area downstream to Woodbridge Dam. On Saturday, October 20, the cleanup will move to the North Fork Mokelumne at Highway 26, and the main stem Mokelumne at Electra, Big Bar, and Middle Bar. • For the September 15th cleanup at Salt Springs and the October 20th Electra-Big Bar and North Fork/Highway 26 cleanups, sign up online at www.foothillconservancy.org, e-mail randy@foothillconservancy.org or call Randy Berg at 209-295-4900. These sites will offer a special prize for the weirdest trash find and the chance to win cool prizes. • For the September 15th Cleanup at Pardee Reservoir, Camanche Reservoir, and the Mokelumne River Day Use Area sites, sign up online at www.ebmud.com/recreation, or contact EBMUD’s Dave Johnson: johnsond@ebmud.com or 209-772-8339. This year’s Mokelumne River Cleanup sponsors are the Foothill Conservancy, East Bay Municipal Utility District, Pardee Lake Recreation, and Camanche Recreation Company. Business sponsors include ACES Waste Services, California Waste Recovery Systems, Pine Grove Market, George Reed, Inc., and Munnerlyn’s Ice Creamery. The Salt Springs cleanup is being conducted in partnership with the U.S. Forest Service. 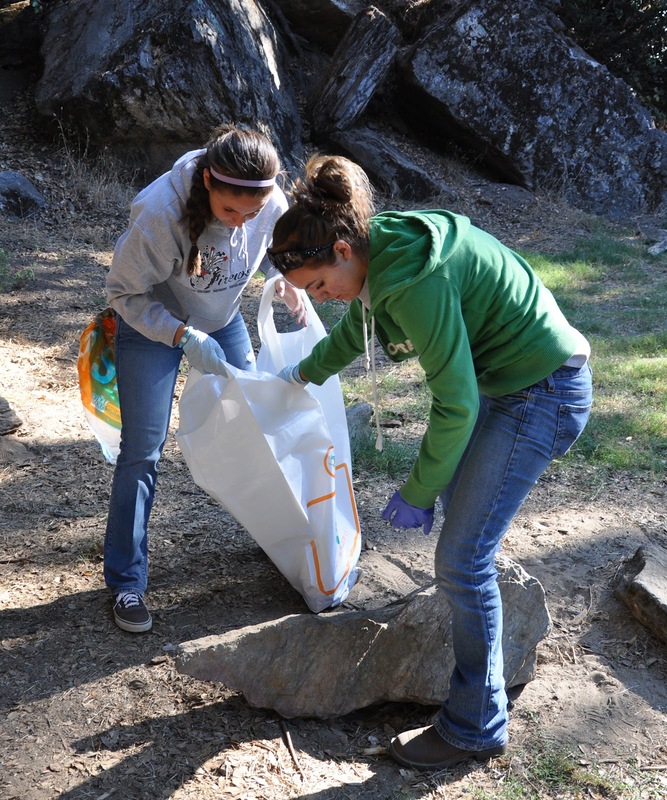 The Great Sierra River Cleanup is sponsored by the Sierra Nevada Conservancy, a state agency. Volunteers should wear long pants and sturdy boots or closed-toe shoes, and bring along work gloves, a hat, insect repellent, sunscreen, a water bottle or canteen and a bag lunch unless they plan to participate in a post-cleanup barbecue for volunteers on Saturday, September 15th at Camanche South Shore. Water and snacks will be provided. Flotation devices are recommended for those working close to the river’s edge. Properly equipped paddlers are welcome to help from the river at Electra, Big Bar, Middle Bar and Highway 26, and on the lower Mokelumne River (ask when you register). No pets or alcoholic beverages, please. River cleaners under 18 are welcome if accompanied by responsible adults (one adult for every four minors). Minors must have their liability releases signed by a parent or legal guardian. Copies of the release for Salt Springs, Electra, Big Bar and Highway 26 can be downloaded from the Foothill Conservancy website or obtained from the Conservancy office. Groups are welcome to participate—please call in advance for information. Foothill Conservancy also urges everyone to sign on to support National Wild and Scenic River designation for the Mokelumne – the only way to ensure we have a river in our future. Did you know that September is National Preparedness Month? Are you prepared for an emergency? Do you know what will happen when you are asked to evacuate? What will you do with your pets? Your livestock? Want to know more? 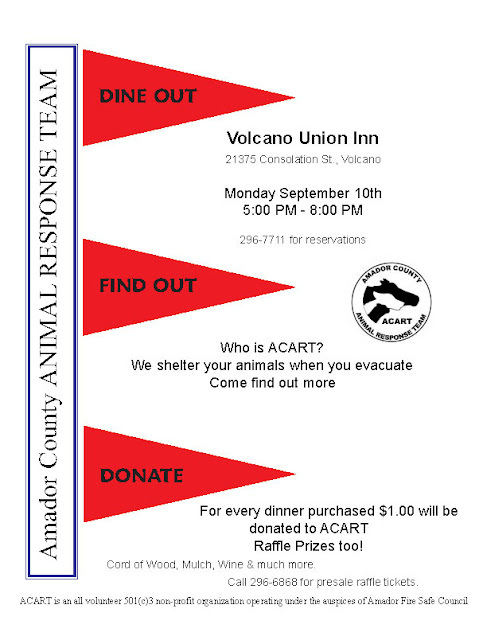 Amador County Animal Response Team invites you to “Dine Out, Find Out and Donate” event on Monday, September 10, at the Volcano Union Inn. Come dine out on fabulous food at the Union who will donate a portion of the evening proceeds to ACART – Amador County Animal Response Team. Find out who ACART is – volunteer members will be available to answer all your questions about preparedness and evacuation. ACART is sponsored by the Amador Fire Safe Council. Donate by purchasing raffle tickets at the door for some great prizes! Mark your calendar, Monday, September 10, 5:00PM at the Volcano Union Inn. Pre-sale raffle tickets can be purchased by calling Jackie at 296-6868. Need not be present to win. TSPN's Tom Slivick talks with JoLynn Miller, youth development advisor for the new 4-H Central Sierra Region. 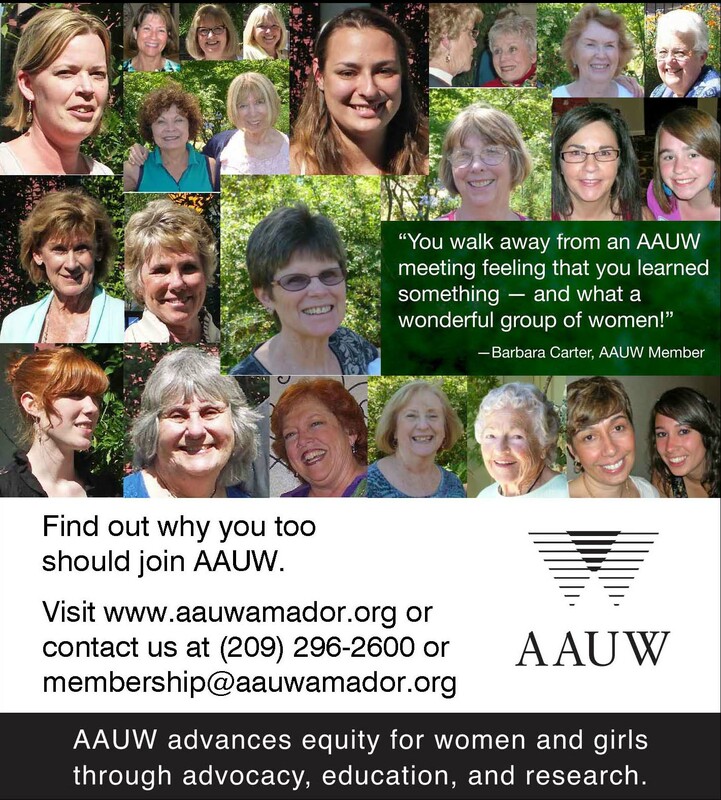 Why should you join AAUW? Home gardens are flourishing throughout the county and more people are interested in eating what they grow or what they find at their local farmers’ market. Sometimes this interest is health related; sometimes it’s driven by economic necessity. And sometimes it’s just fun to grow and eat your own food! But what do you do with a bumper crop of tomatoes, peppers or blackberries? Learn how to preserve them so you can enjoy the bounty produced by your garden all year! The new UCCE Master Food Preservers offer free classes to demonstrate how to safely preserve food through a variety of processes. 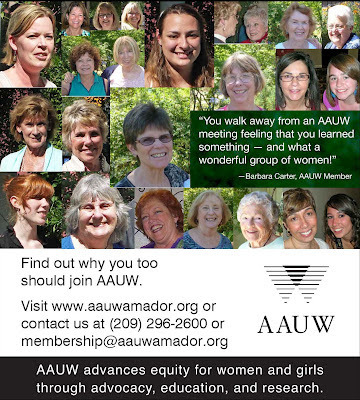 Join us for our first class in Amador County on Saturday, August 18, from 9-11am at the GSA Building in Jackson. This class will demonstrate the basic principles of safe water bath canning while teaching how to make jams and jellies. Master Food Preservers will explain why each step of the process is important to ensure that your home preserved foods are not only delicious, but safe. If you learn the why behind each step in the process you’ll know how to properly adjust recipes you may find on the internet and in magazines. The class is free and reservations are not needed. Sign up for our monthly e-Newsletter at http://ucanr.org/mfpenews/. For more information call the Amador County UC Cooperative Extension office at 209-223-6482. Dr. Madeleine Voss, Amador Community College Foundation Outreach Coordinator will be the guest speaker at the weekly meeting of Amador Upcountry Rotary Club , Wednesday, August 22, 2012, 12:00 noon, Pine Grove Town Hall, Highway 88, Pine Grove. The foundation is the Amador Center for Higher Learning. If you would like to obtain more information on the goals of higher education in our county and how this may improve opportunities for traditional students, as well as provide continuing learning for the community in general, please join us for lunch. Contact Roberta Pickett, President,, Amador Upcountry Rotary Club, 209-295-6493 coach88@volcano.net. Sutter Creek Volunteer Fire Department is holding their annual Labor Day Weekend Dinner & Dance on Saturday, September 1 at the Italian Picnic Grounds. Dinner is at 6:30PM, Dance begins at 9PMDance to the music of "The Tune-Ups"
We are always seeking out volunteers to knit and/or crochet for us, as well as hospitals willing to accept the afghans. The afghans are small, about 14" square up to about 25" square. There are no costs involved for the hospitals, and we attempt to keep each hospital supplied with afghans of various sizes and colors in order to meet all their needs. We understand that many people are not comfortable with this concept, but there are many others who enjoy volunteering and we have had over 800 afghans donated to date. We are currently supplying 14 hospitals in California, from San Diego to Lake Tahoe, to Redding. We are seeking new hospitals at this time as we have an abundance of afghans, and we will consider going outside California on a short term basis. I think it is more important to have the afghans waiting to be used in hospitals rather than waiting to be sent out from my home. I have great confidence that our volunteers will keep me well stocked for any needs that arise. Let me know if there is any other information you might need. 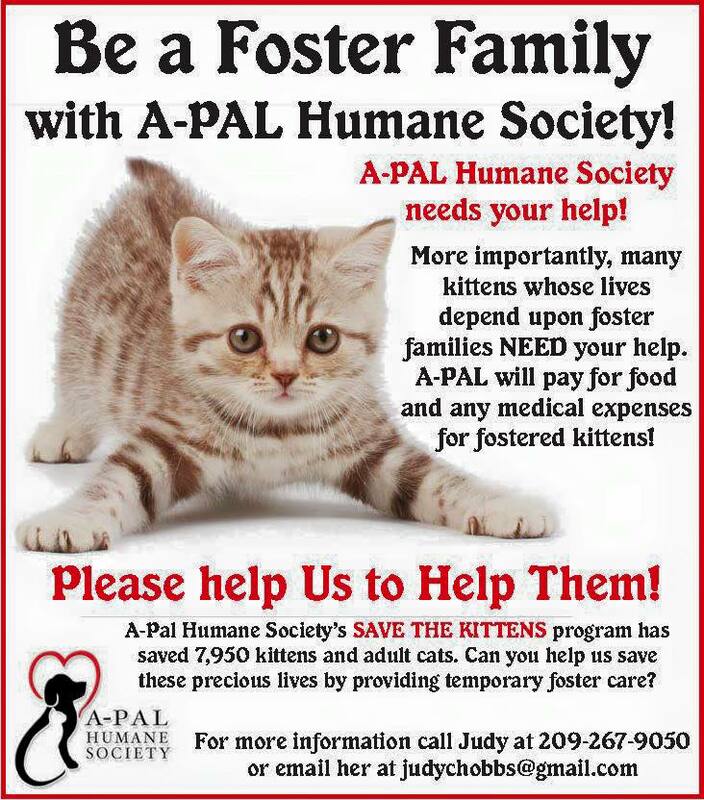 The easiest way to contact me [Linda] is via my email,ctryb37735@aol.com , or by calling me at 530 417-2112. I have brochures and business cards that I would be happy to provide. Detailed information on Afghans for Angels, California Chapter, can best be found on our web site, www. Get the date on your calendar – this you won’t want to miss! Help raise money for the Restoration of the Historic Sutter Creek Grammar School and have fun at the same time! This Monday Night, August 6th at 6:30 pm in Thomi's Banquet Room on Highway 49 in South Jackson. Averaging 10 games a night. Cash Prizes! Don't miss out! Support your local Recreation Agency and The Historic Sutter Creek Grammar School Restoration Fund. 45% of the net proceeds will go directly to the Restoration Fund! At the Mardi Gras Party and Cajun Cook-Off we raised over $4,100 for the restoration and we are hoping that this fun little event will add to the cause. Please come and show you support and have a bunch of fun at the same time. Fundraising continues for the "Old Sutter Creek Grammar School"
DONATING 10% OF THESE SALES WILL GO TO THE RESTORATION FUND FOR THE "OLD SUTTER CREEK GRAMMAR SCHOOL"
Another other shopping can be done here too! All will help continue our fund raising for the school restoration, so please bookmark this link. Committee for Restoring the "Old Sutter Creek Grammar School"
August, 2012 – Amador County, CA – Today’s teens are continually subjected to peer pressure, bullying, media, technology, and a great deal of stimulus to their minds and bodies, but are they receiving the tools to keep them safe and in healthy relationships? Operation Care is launching a new program to address these issues with youth age 12 - 18 in a fun and informative format. 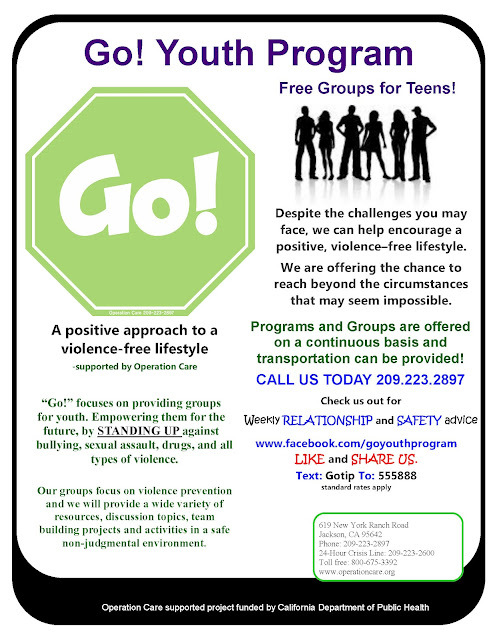 The program dubbed “GO!” focuses on providing youth with the tools to help prepare them for the future, and the skills to prevent bullying, sexual assault, drugs, and all types of violence. Tammie Crabtree, Executive Director of Operation Care said, “We want Amador County youth to thrive in healthy friendships and relationships, and to experience a violence-free lifestyle. We are very excited to launch the GO! Program to offer teens some of the tools they will need. Our goal is to have a safe place where young people can ‘hang out’ and chat with each other and with our staff. By attending workshops, they will learn some of the tools to help them build healthy friendships and dating relationships. The workshops will be fun and engaging, focusing on a positive approach to communication”. Operation Care has been providing youth workshops within its regular programming for many years, and they have proven effective time and again. When students were asked what they learned in a recent workshop, one young man said he has become more tolerant of his family and friends and will definitely treat his mother with more respect. Another student said he learned that we all have different backgrounds that make us who we are, and he is going to be more respectful of people’s differences. “I saw a different side of these kids during the course of the workshop”, said Ashley Carnicello, Deputy Director for Operation Care and one of the facilitators of past workshops. “They went from a hard exterior to kids that were more tolerant of each other, and they talked about the community in a more respectful manner. Upcoming GO! workshops will include many topics including self esteem, dealing with anger, bullying, self destruction, drugs and alcohol, women’s issues, sexual harassment, and sexual assault. A complete schedule of workshops and topics will be available later this summer. For more information or to get on the mailing list, interested parents or youth should contact the program’s Prevention/Outreach Specialist, Dezi Valadez at 209-223-2897.